Abstract: This presentation will address whether modern artificial intelligence (AI) has the potential to transform the financial markets by examining the successful applications of AI in other industries including speech, vision, natural language, and robotics. The presentation will also discuss the technical challenges that are unique to financial modeling and investment management. Bio: Li Deng joined Citadel, one of the global and most successful investment firms, as its Chief AI Officer in May 2017. Previously, he was Chief Scientist of AI and partner research manager at Microsoft; and prior to Microsoft, he was a professor at the University of Waterloo in Ontario and held teaching/research positions at MIT (Cambridge), ATR (Kyoto, Japan), and HKUST (Hong Kong). He is a Fellow of the IEEE, of the Acoustical Society of America, and of the ISCA. He has also been an affiliate professor at University of Washington in Seattle since 2000. 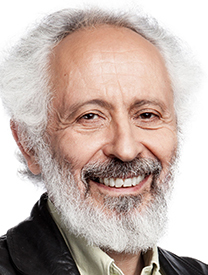 In recognition of the pioneering work on disrupting speech recognition industry using large-scale deep learning, he received the 2015 IEEE SPS Technical Achievement Award for Outstanding Contributions to Automatic Speech Recognition and Deep Learning. 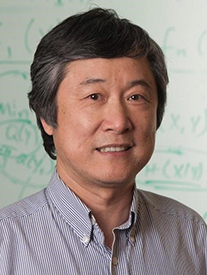 He also received numerous best paper and patent awards for contributions to artificial intelligence, machine learning, information retrieval, multimedia signal processing, speech processing, and human language technology. Deng is an author or coauthor of six technical books on deep learning, speech processing, discriminative machine learning, and natural-language processing. Abstract: Nanotechnology has enabled the development of nanostructured composite materials (metamaterials) with exotic optical properties not found in nature. In the most extreme case, we can create materials which support light waves that propagate with infinite phase velocity, corresponding to a refractive index of zero. This zero index can only be achieved by simultaneously controlling the electric and magnetic resonances of the nanostructure. We present an in-plane metamaterial design consisting of silicon pillar arrays, embedded within a polymer matrix and sandwiched between gold layers. Using an integrated nano-scale prism constructed of the proposed material, we demonstrate unambiguously a refractive index of zero in the optical regime. This design serves as a novel on-chip platform to explore the exotic physics of zero-index metamaterials, with applications to super-coupling, integrated quantum optics, and phase matching. 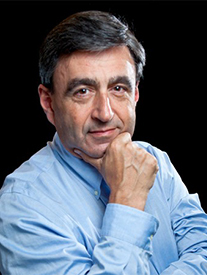 Bio: Eric Mazur is the Balkanski Professor of Physics and Applied Physics and Area Chair of Applied Physics at Harvard University, Member of the Faculty of Education at the Harvard Graduate School of Education, and Past President of the Optical Society. Mazur is a prominent physicist known for his contributions in nanophotonics, an internationally recognized educational innovator, and a sought after speaker. In education he is widely known for his work on Peer Instruction, an interactive teaching method aimed at engaging students in the classroom and beyond. In 2014 Mazur became the inaugural recipient of the Minerva Prize for Advancements in Higher Education. He has received many awards for his work in physics and in education and has founded several successful companies. Mazur is Chief Academic Advisor for Turning Technologies, a company developing interactive response systems for the education market. Mazur has widely published in peer-reviewed journals and holds numerous patents. He has also written extensively on education and is the author of Peer Instruction: A User’s Manual (Prentice Hall, 1997), a book that explains how to teach large lecture classes interactively, and of the Principles and Practice of Physics (Pearson, 2015), a book that presents a groundbreaking new approach to teaching introductory calculus-based physics. Abstract: The EEG is commonly used to help diagnose epilepsy and to localize the region of the brain from which seizures are likely to originate. The spatial resolution of EEG is however not very high and the EEG cannot see deep in the brain because of the attenuation of the electrical field with distance. If the EEG is recorded during functional MRI scanning (fMRI), it is possible to study the metabolic changes caused by these epileptic discharges (increases or decreased in the fMRI signal compared to baseline). The most intense signal changes reflect the regions with the most metabolic change, thus the regions with the most intense neuronal discharges, which are presumably the source of the epileptic discharge. These can be located anywhere in the brain. There are many technical challenges in performing EEG-fMRI studies, mainly as a result of recording the very low amplitude EEG signal in the large (3 Tesla) and changing magnetic field of the MR scanner. It is nevertheless possible to obtain an interpretable EEG signal. In patients who have an epilepsy that is refractory to drug treatment, it is possible to consider the surgical removal of the source of epileptic seizures. There are different methods to find this region, and EEG-fMRI has a particular place in this set of methods because it is non-invasive and it can see deep in the brain. EEG-fMRI studies have revealed regions of activation that help in the planning of surgery or in determining where in the brain one can place electrodes to find the source of seizures. Bio: Jean Gotman received an engineering degree from the University of Paris and a PhD in Neuroscience from McGill University in Montreal. He pioneered the automatic detection of spikes and seizures during long-term EEG monitoring and made his methods widely available through Stellate, a company he created in 1986, which developed and sold all over the world equipment and software for EEG, epilepsy monitoring and polysomnography. He published over 300 peer-reviewed papers and 40 chapters. His research interests include analysis of the EEG, mechanisms of epileptogenesis, seizure generation and spread in humans, High Frequency Oscillations and functional imaging in the diagnosis and study of epilepsy. He received the Research Recognition Award from the American Epilepsy Society, the Pierre Gloor Award of the American Clinical Neurophysiology Society, the Penfield Award of the Canadian League against Epilepsy, was named Ambassador for Epilepsy by the International League against Epilepsy, and gave the Lennox-Lombroso lecture at the American Epilepsy Society. Bio: Vivienne Sze is an Associate Professor at MIT in the Electrical Engineering and Computer Science Department. 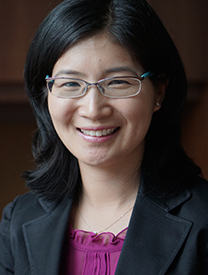 Her research interests include energy-aware signal processing algorithms, and low-power circuit and system design for portable multimedia applications, including computer vision, deep learning, autonomous navigation, and video process/coding. Prior to joining MIT, she was a Member of Technical Staff in the R&D Center at TI, where she designed low-power algorithms and architectures for video coding. She also represented TI in the JCT-VC committee of ITU-T and ISO/IEC standards body during the development of High Efficiency Video Coding (HEVC), which received a Primetime Emmy Engineering Award. She is a co-editor of the book entitled “High Efficiency Video Coding (HEVC): Algorithms and Architectures” (Springer, 2014). Access Professor Sze’s presentation slides. Abstract: In cooperative multi-robot systems, there is a group of robots that seek to achieve a collective task as a team. Each individual robot makes decisions based on available local information as well as limited communications with neighboring robots. The challenge is to design local protocols that result in desired global outcomes. In contrast to a traditional centralized control paradigm, both measurements and decisions are distributed among multiple actors. This talk surveys various results for cooperative robotics based on methods drawn from game theory and distributed optimization, with applications to area coverage, cooperative pursuit, and self-assembly. Bio: Jeff S. Shamma is a Professor of Electrical Engineering at the King Abdullah University of Science and Technology (KAUST) and the Director of the Center of Excellence for NEOM Research at KAUST. Shamma received a Ph.D. in systems science and engineering from MIT in 1988. He has held faculty positions at the University of Minnesota, The University of Texas at Austin, and the University of California, Los Angeles, and was the Julian T. Hightower Chair in Systems & Control in the School of Electrical and Computer Engineering at Georgia Tech. Shamma is a Fellow of the IEEE and the IFAC (International Federation of Automatic Control), and a recipient of the NSF Young Investigator Award, American Automatic Control Council Donald P. Eckman Award, and Mohammed Dahleh Award. Shamma is currently the deputy editor-in-chief for the IEEE Transactions on Control of Network Systems and a Distinguished Lecturer of the IEEE Control Systems Society. Abstract: As prices for solar photovoltaics and battery energy storage plummet, grids around the globe are undergoing tremendous changes. How should we design and operate grids in the future in the presence of these technologies? This talk will cover some of my group’s recent efforts to answer this question. First, I will focus on a new approach to decentralized network optimization – a variant of the primal-dual subgradient method – that can be used to enable grid-integration of distributed energy resources such as solar photovoltaics, batteries and electric vehicles. I will then discuss how grids should be built in the future when distributed energy resource costs are so low. Using a simple concept called an iso-reliability curve, I will explain a method to identify cost-optimal fully decentralized systems – i.e. standalone solar home systems. After applying this method to a large solar resource dataset, I will present results indicating that in many unelectrified parts of the world, future decentralized systems will be able to deliver electricity at costs and reliabilities better than existing centralized grids. 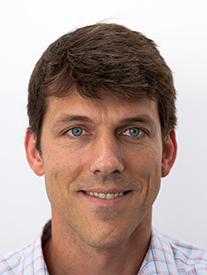 Bio: Duncan Callaway is an Associate Professor of Energy and Resources at the University of California, Berkeley. 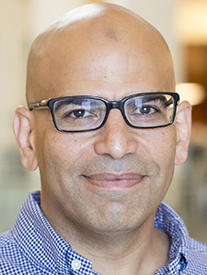 He is also a faculty affiliate in Electrical Engineering and Computer Science, and a faculty scientist at Lawrence Berkeley Laboratory. He received his PhD from Cornell University. He has held engineering positions at Davis Energy Group and PowerLight Corporation, and academic positions at UC Davis, the University of Michigan and UC Berkeley. Duncan teaches courses on electric power systems and at the intersection of statistical learning and energy. His research focuses on grid integration of renewable electricity and models and control strategies for demand response, electric vehicles and electricity storage. Please note that the talks previously scheduled for Thursday, March 21 and Thursday, April 11, 2019 have been cancelled.